A day in which I spent quite a lot of time contemplating "visual synonyms"; images which are identical under some sort of transformation. 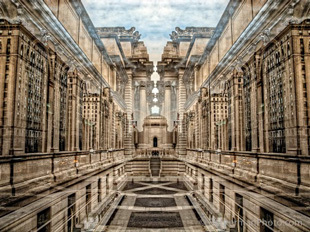 Possibilities include scaling and rotation, contrast and brightness variations, color shifts, various translations, and combinations. If you were compiling a database of small regions, you could exploit such symmetries to collapse the entries, and so it is with me. 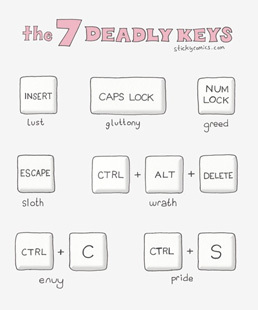 The seven deadly keys. I love it. Among my old saved-to-be-linked posts is this one from Joe Hewitt: AirPlay TV. "There's so much compelling video content and games available on the App Store, it's not really that big of a deal if you can't watch cable TV, DVDs, or play Xbox on the Apple TV. 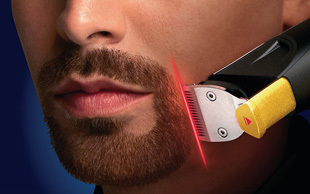 This trend is only accelerating. When Steve Jobs said 'I finally cracked it', I'd bet he was thinking of how AirPlay and the App Store had eliminated the need to support old set-top boxes." It's interesting that this post is now two years old, and we are no closer to learning what Steve Jobs meant. Somewhere at Apple there are people trying to solve this problem, but they haven't done it yet. Can't wait, that might be the next Big Thing. Did you see this? 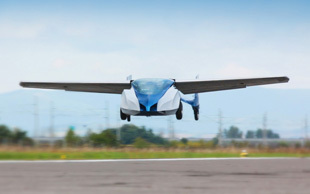 The Aeromobil, a sleek flying car that fits into ordinary parking spaces. In Slovakia. You know what I'm going to say ... I want one! Lead Bullets. "There comes a time in every company’s life when it must fight for its life. If you find yourself running when you should be fighting, you need to ask yourself: 'If our company isn’t good enough to win, then do we need to exist at all?'" Exactly right. 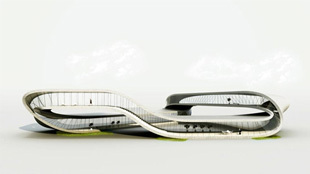 Dutch Architects to Build ‘Endless’ Möbius-Inspired House Using Giant 3D Printer. What a time to be alive! Oh and sticking with today's theme, yes, pictures of Möbius strips are not only palindromic but infinitely so. Hehe. I just updated my computer, and Microsoft helpfully supplied IE11. I don't use IE as often as possible (yes, that's grammatically correct), so I'm hoping this won't affect me. As an example of the badness that Microsoft have wrought: IE11 appears as Firefox to avoid legacy IE CSS. Now we'll have CSS which detects IE appearing as Firefox, since there's no chance IE actually handles CSS the same way. Finally, news you can use (and I use it as often as possible): Convert money to happiness with expensive wine. Yes!